Gwen Shapira, a product manager at Confluent, has been moving data around for over 20 years. Co-author of “Kafka: The Definitive Guide,” Shapira regularly presents on stream processing, Apache Kafka, data integration and event driven architectures. 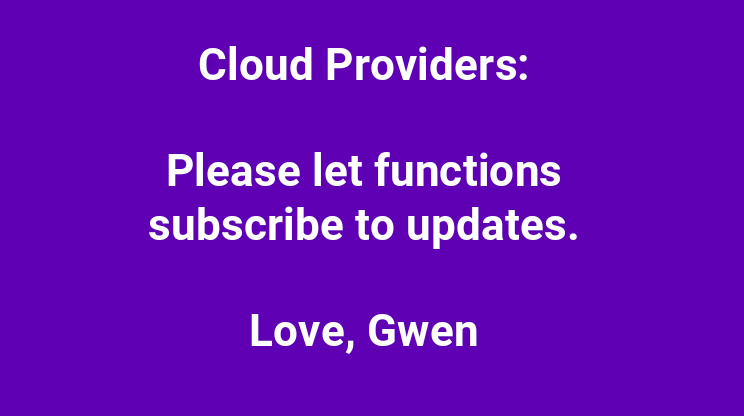 At Serverless Days NYC recently, she shared her thoughts on serverless, seeing great benefits for developers not having to worry about scalability as the serverless cloud provider will manage scaling the architecture, allowing developers to focus on their applications. But for developers working in serverless, Shapira currently sees the technology as akin to a fixie bike. “Hipsters love these bikes because they are simple, but then you hit a hill and you understand why you need gears,” Shapira says. For Shapira, managing state is that first hill. State refers to data that is fixed in a point of time. Normally, a serverless workflow is viewed as having pulled in data in one state, to do something, and then, possibly, return the data in a new state at the end of the process. Shapira gives an example of an order request. The order would need to check the warehouse to see if there is enough inventory, then lock that inventory to the order so no one else takes it, update the inventory to show the reduced items, and then move that order to shipping. If there aren’t enough items, the order has to be updated. In that sort of situation, it is not as simple as just relying on events that trigger functions: there is a degree of maintaining the state of the data and updating it in the one workflow. In serverless, just choosing a database that allows state may not be a good enough solution. “You can create a highly normalized data model so that you can pull everything you want in the one call,” she said. 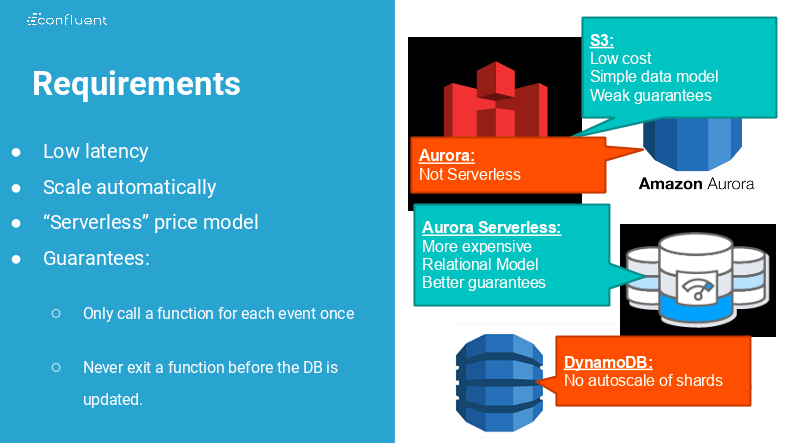 Serverless, like API-enabled architectures, require a closer connection between the business and technical sides of an organization. Shapira is excited by the possibility that serverless brings to managing these problems, seeing this as a new way to strip away the non-essentials and focus on handling the real business problem. But she also suggests there is a lot of wisdom to draw from what has already been thought through, especially around event-driven design models in microservices architectures and applying them to serverless. “Event-driven microservices are quite similar, so learn those patterns, they are often fully applicable in this slightly new domain,” she suggested.